Here we tell you how to make homemade paani puri using hand ground spices. Now that you have all the basic ingredients for making paani puri, you can easily make this tasty street delicacy of India right at your home. The very first thing that you need to do is create a dough with Suji. The second way is to make a large flour dough. Now roll the dough into a round piece with around 12 – 15 cm diameter. Keep it on a flat surface. Take a round bottle cap, cut out small pieces of dough from the bigger piece. Keep all the pieces or loiyan separately and fry them in oil. Let them fry until they get a light brown color. 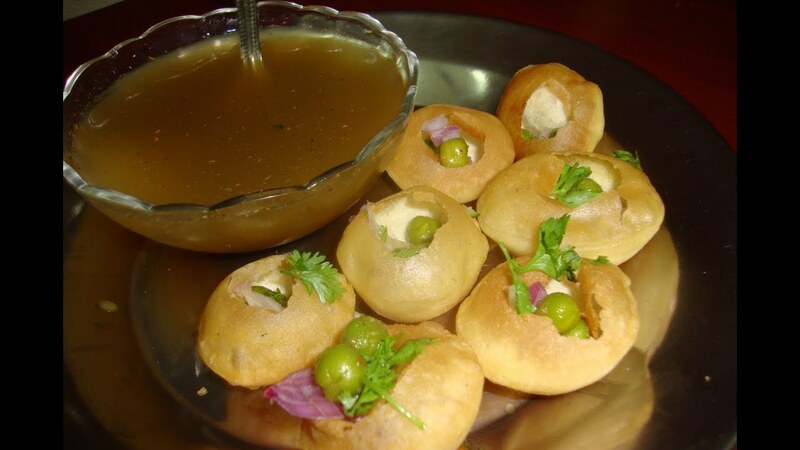 You have got your gol gappe. Let them take a good shape. Keep them out in open. For preparing paani for your paani puri you need to take those Coriander and mint leaves, wash them with clean water mix all the spices and coriander leaves in a mixer grinder and make a paste. Take 1 litre of water and mix the paste properly. Make sure the paste entirely mixes up with the water. Do not forget to add Chakki Masala Special Paani Puri Masala for an enriched taste. Next Article The History of Indian Spices and Why Indian Spices are the Best in the World?